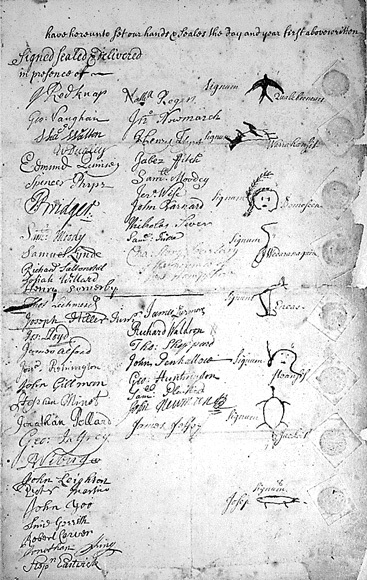 CREDIT: "Indian treaty signed at Portsmouth, New Hampshire, 13 July 1713, and addendum signed at same location, 28 July 1714. (Levi Woodbury Papers)." Words and Deeds in American History: Selected Documents Celebrating the Manuscript Division's First 100 Years, Library of Congress.